For most of us who live in Pike County, the water we draw from our household faucets comes from underground wells or springs that produce water from natural geologic features called aquifers. Aquifers are underground rock formations whose cracks and fissures hold water which can be extracted for human use. For these groundwater resources to be preserved, well owners must take certain steps. Groundwater is heavily influenced by what lies above it. Gravity pulls everything down, of course, and many of the products we use on the land’s surface – such as detergents, oils, chemicals, and gasoline – eventually infiltrate into our aquifers. Subsequently, drinking water wells should be drilled uphill and generally 100 feet or more away from potential sources of contamination such as septic tanks, cesspools, animal enclosures, areas treated with pesticides and fertilizers, materials from auto repairs, and petroleum storage facilities. 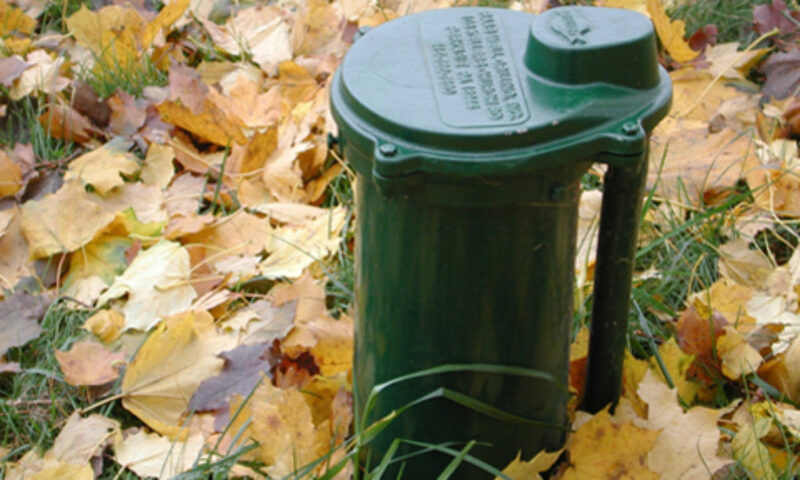 Ideally, the well casing should extend at least 12 inches above the ground and be covered with a sanitary cap, which has a special seal to keep out insects, rodents, and other vermin. Also, the well should not be placed in a flood-prone area. Never store chemicals or hazardous materials in or around your well house or casing. These products can potentially leak out and pollute the well as they soak into your aquifer. Seal abandoned wells to prevent pollutants from seeping into the aquifer. The key to maintaining healthy and inexpensive drinking water for you, your family, and your community is to keep contaminants away from your source water. Pennsylvania has no regulations for homeowners with private water systems. Therefore, it is the responsibility of the well owner or user to have their water supply tested regularly — for contaminants such as bacteria and nitrates – in order to be sure the water is safe to drink. This is especially so if there is a detectable change in water color, taste, or smell. As a baseline, it is recommended to test annually for coliform bacteria, and every three years for pH and total dissolved solids. The Pike County Penn State Extension, in Milford offers drinking water testing through a state-certified water testing lab. Currently, five types of drinking water tests, ranging in cost from $30 to $55, are offered through the Extension. Homeowners may pick up water sampling kits during regular business hours at the Extension office, and drop off water samples every Wednesday before noon. Test results are typically available within two to three weeks. For more information, stop by the Extension office at 514 Broad Street, in Milford; email the office; or call 570-296-3400. For more information on groundwater and wellhead protection, contact the Conservation District’s Watershed Specialist Matt Barr at 570-226-8220 or send him an email.